Forthright Electric Company is a commercial electrical contractor serving the Central Florida areas of Lake, Orange, Seminole and Volusia Counties since 2007. We specialize in repair and maintenance of electrical systems in commercial, educational, industrial and insititutional buildings. 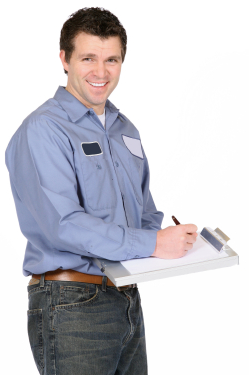 Forthright Electric Company provides reliable service, fair and accurate pricing, and a speedy turn-around time. Our goal is to offer the very best in customer service at the best rate possible. We always strive to go above and beyond for our clients, ensuring that they get the reasonable rates with service that outshines our competition. This winning combination is what helps make Forthright Electric a forerunner in the electrical contracting industry. In short, we are hard workers, and it’s this philosophy that has kept repeat customers a substantial part of our electrical contractor business. Join the thousands of satisfied companies who have partnered up with Forthright Electric Company over the past years, by contacting us today to discuss your electrical contracting needs. Below are just some of the recent commercial electrical contractor projects completed by Forthright Electric Company in the Central Florida area in 2012. Retrofit existing electrical system for the installation of three new primary building pumps and one water source heat pump. The installation of these pumps will allow the condensing units to cool through the use of a heat exchanger instead of a conventional fan, which allows for increased energy effeciency. You don't have to get zapped when you hire an electrical contractor. By doing a little homework you can find a qualified person to do the work within your budget. The first thing to decide is the nature of the project. 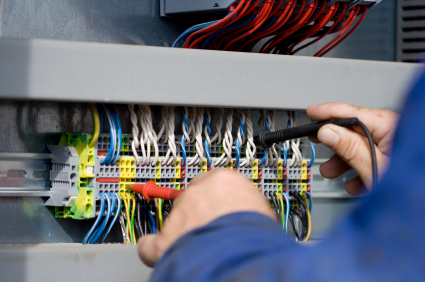 Do you need an electrician for a rewiring job or a contractor to wire a building from the ground up? Other considerations include the size of the building. Is it a small office or is a corporate office park? Do you need a contractor for a single project in one city or do you have multiple projects in different cities and states? Powered by: On Track Marketing - Where are YOU @t on the Web?